We don’t realize how out of shape we are until we try and do something active. We don’t realize how inflexible we are until we try and touch our toes. We don’t realize how important our health is until it’s gone. It is far easier to be proactive about our overall health than to try and regain our health once it has dissipated. Unfortunately, there are things that are beyond our control, but on the flip side, there are a lot of things that we do have control over. It is never too late to take back control. We can control what we eat. We can control what we drink. We can control how much we exercise. We can control how much we sleep. We can control the people with whom we surround ourselves. We can control the amount of time we dedicate to our passions. We can control our happiness. We are responsible for our own bodies, our own minds, and our own lives. The first step to taking back control is making the decision to do so. Decide that this year is going to be the year that you start moving, start stretching, start eating clean, fresh, and locally; decide that this year is the year that you treat your body the way you want it to treat you. Don’t accept mediocrity. 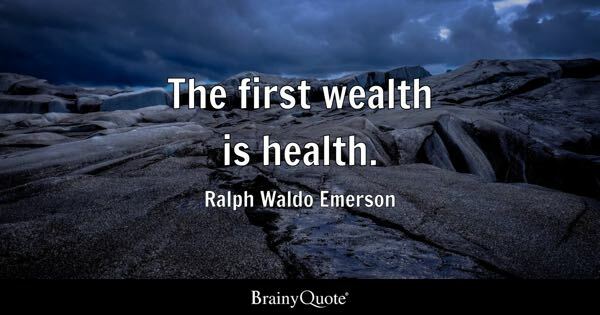 Buddha once wisely said that, “every human is the author of his own health or disease.” We are what we eat, we become what we think, and we can make the choice to live strong and well or exist on a threshold of just getting by. One small change can make one huge difference. And a bunch of small changes can literally change your life. Take the journey with us this year. Throughout this year, the Parker Wellness blog will be sharing a lot of great information regarding health and nutrition, motivational and inspirational pieces to help keep you on your path to wellness and happiness, and also what’s going on in our dentistry practice that is relevant to helping you achieve your healthiest and best smile yet. Make this year about you. The world and the people around you need the best version of you!